Whitley Apartments serves as your gateway to the spectacular surroundings of downtown Austin, TX. This attractive, historic district combines diverse architectural styles and incredible city views. 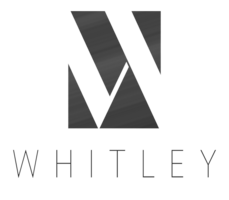 When you rent at Whitley, you also enjoy the community’s 99 Walk Score, putting entertainment, dining and nightlife options all just steps from home. When you do need to commute, the easy access to both Mopac/Loop 1 and Interstate 35 simplifies your trek across the entire city. Enjoy effortless access to outdoor recreation with Lady Bird Lake within walking distance. Find convenience without even leaving the building thanks to on-site options such as Royal Blue Grocery and Uncle Julio’s Mexican restaurant. You can also shop for one-of-a-kind art at the Old Bakery & Emporium or visit the Austin Toy Museum for a unique cultural experience. Numerous local coffee shops and bars also add to the lively atmosphere of this vibrant neighborhood. Learn more when you tour Whitley today.